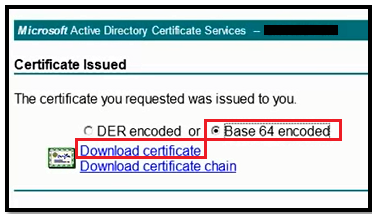 Select the Encoding Method „Base 64“and click on Download CA certificate. 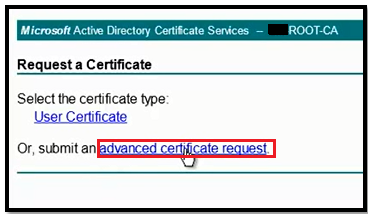 Save it to a location on our file system. 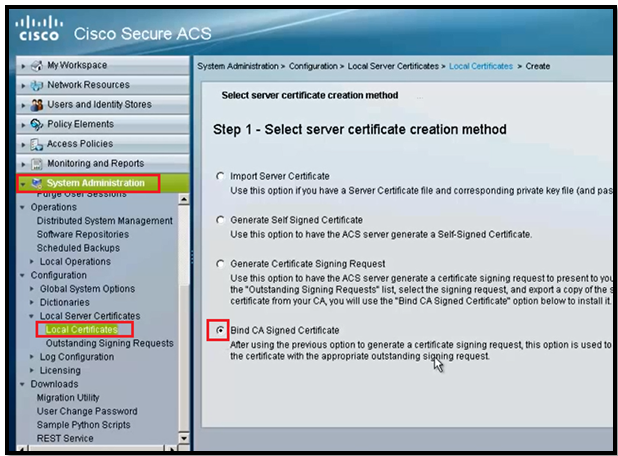 Now we have Root CA, it’s time to install Root CA on ACS. 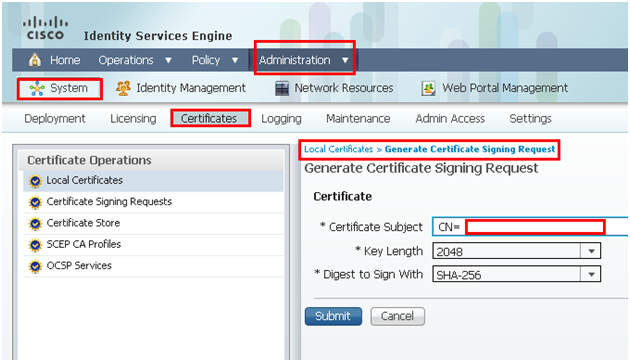 Fill the Certificate Subject name, Key length. Click Submit. 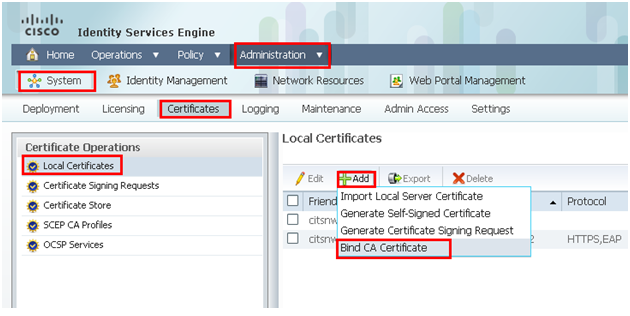 Enter the Certificate subject name. 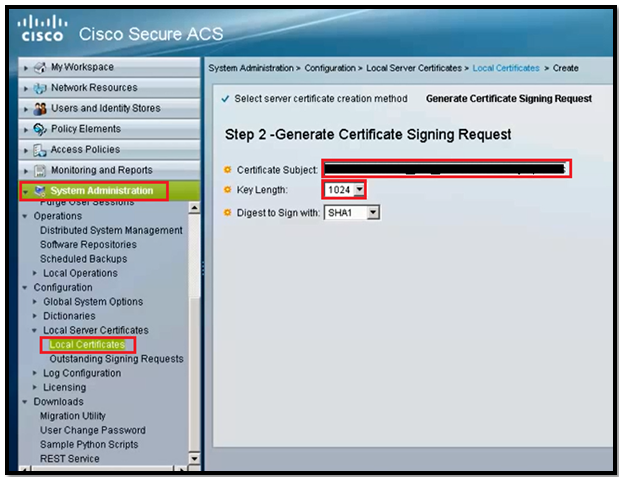 Choose key length to 1024 or 4096 (Max value). Click Finish, this prompt will popup. 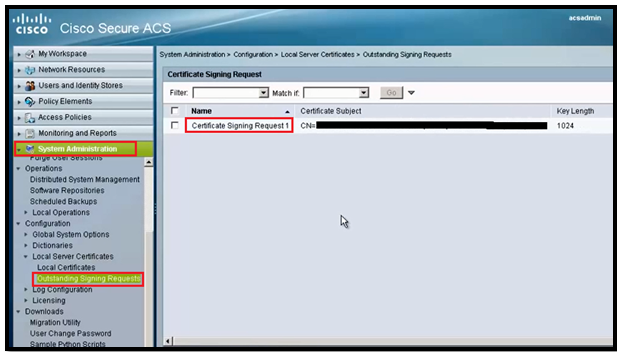 Click OK. Now we can this signing request under Outstanding signing Request. 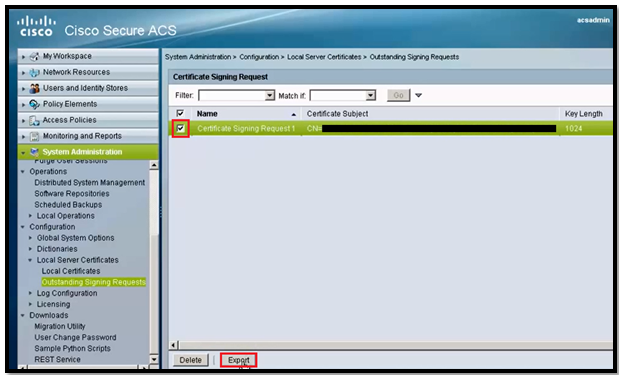 Now Tick the request and click Export. 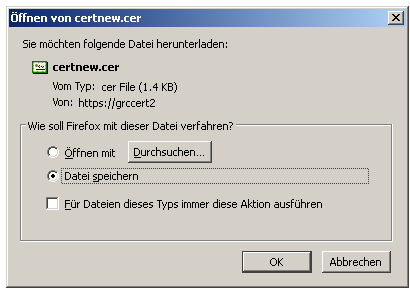 Save it and open in notepad. 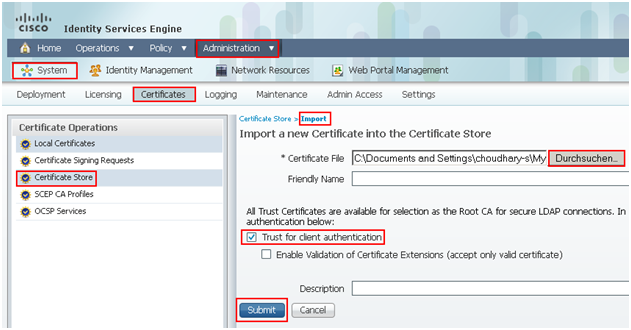 Login backup to certificate server and this time click on Request a Certificate. 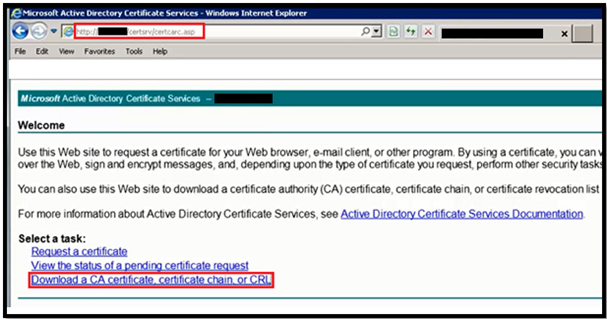 Click Next, browse the Certificate here. 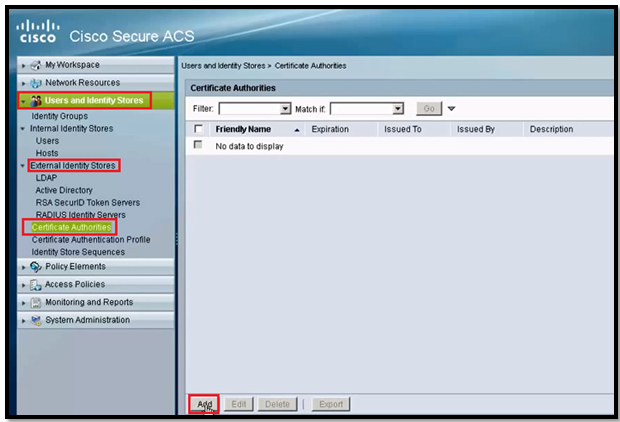 Also tick EAP and Management interface and click Submit. Select OK and Click Finish. 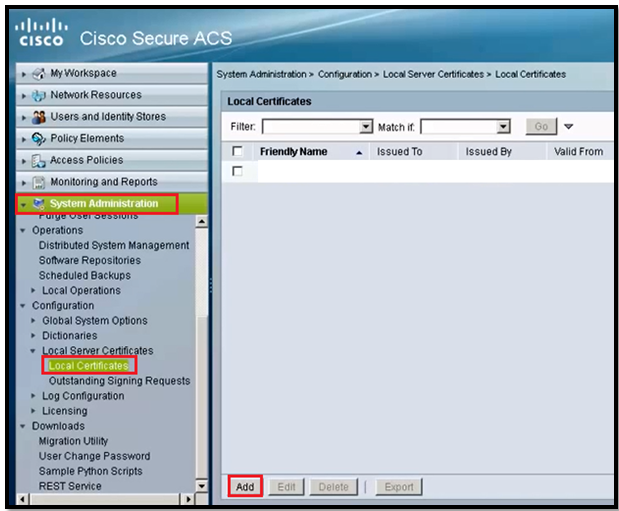 Sometime we need to reboot ACS to complete the certificate installation. 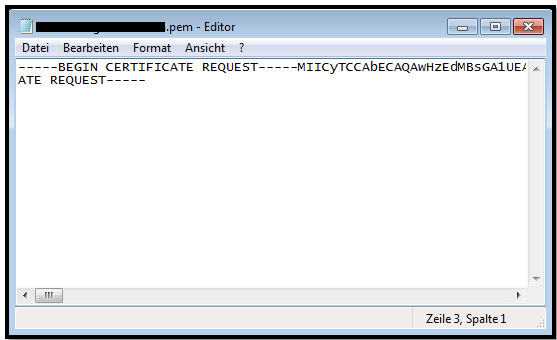 (generated by certificate signing requests). Save it to a location on your file system. 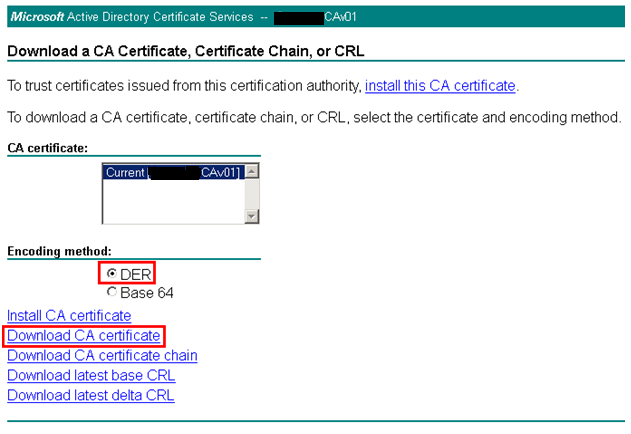 Click Browse and locate the root CA Certificate. 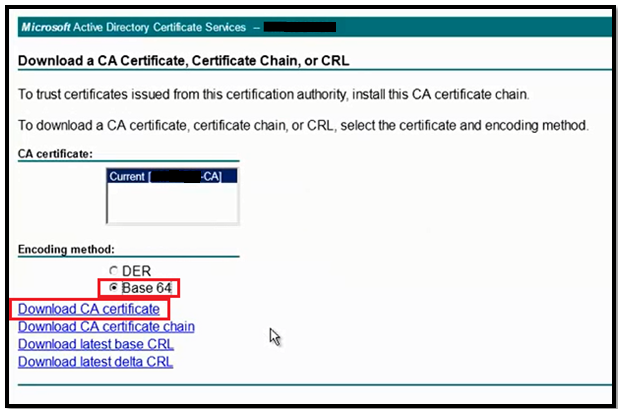 The CA Certificate will appear alongside the original self-signed certificate generated by ISE. 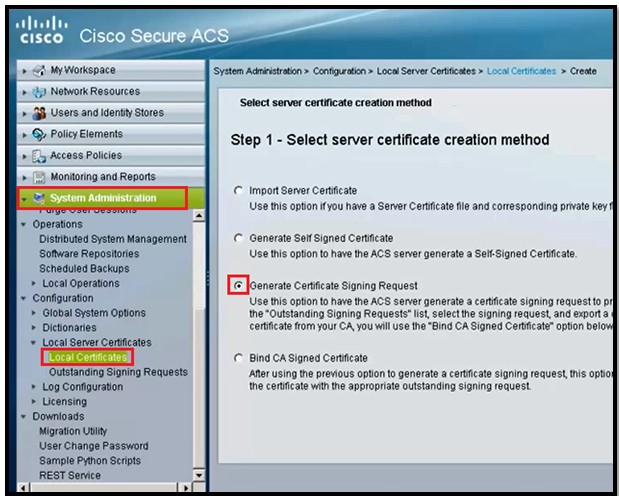 If you have 2 or 3 ISE nodes then you must repeat these steps for Root CA. 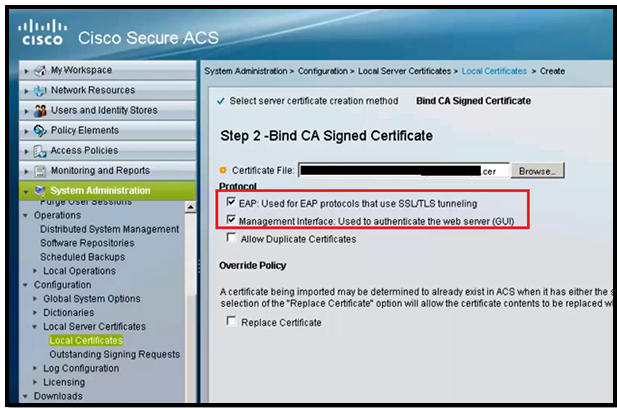 Go to Administration > System > Certificates > Certificate Signing Requests. 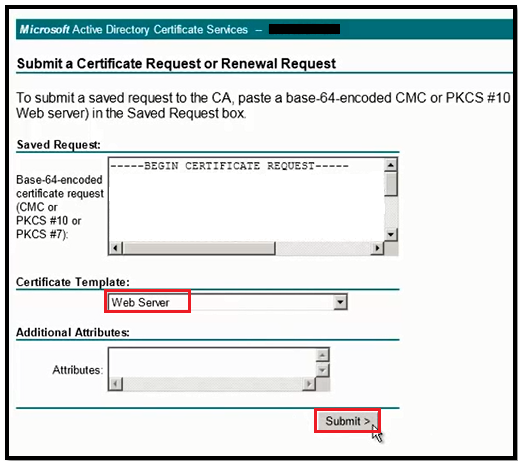 Tick the request and click export. 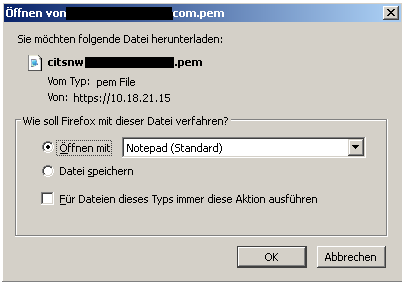 Save the request onto your computer and open it in notepad. 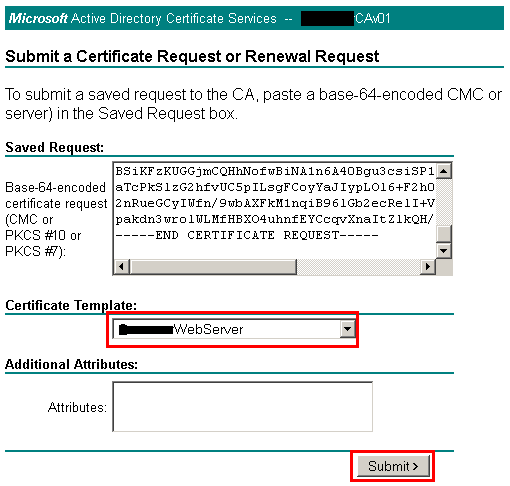 Paste the contents of the CSR into the request field and select “Web Server” as the template. 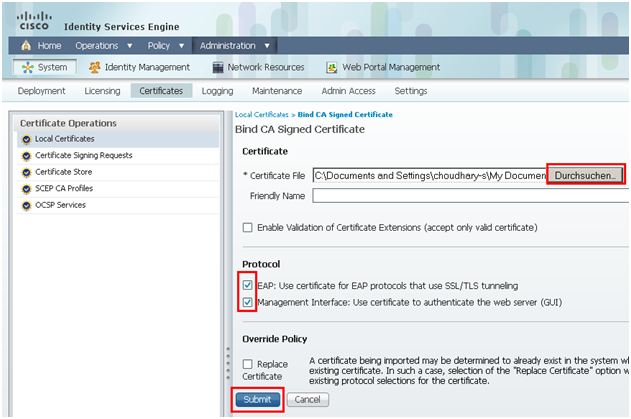 ISE will need to reload to complete the certificate installation. 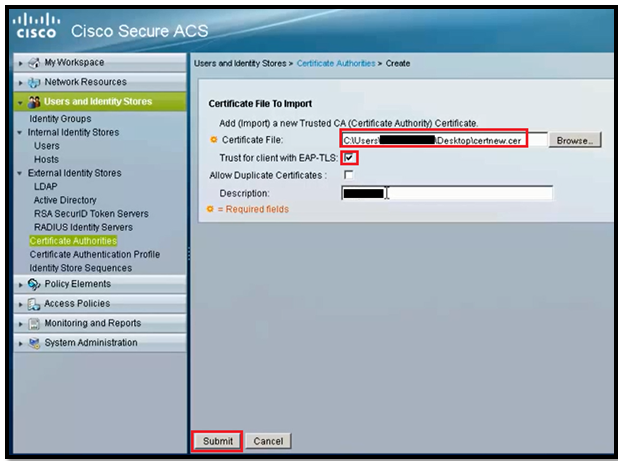 Perform this task on all nodes in the deployment before joining them together.